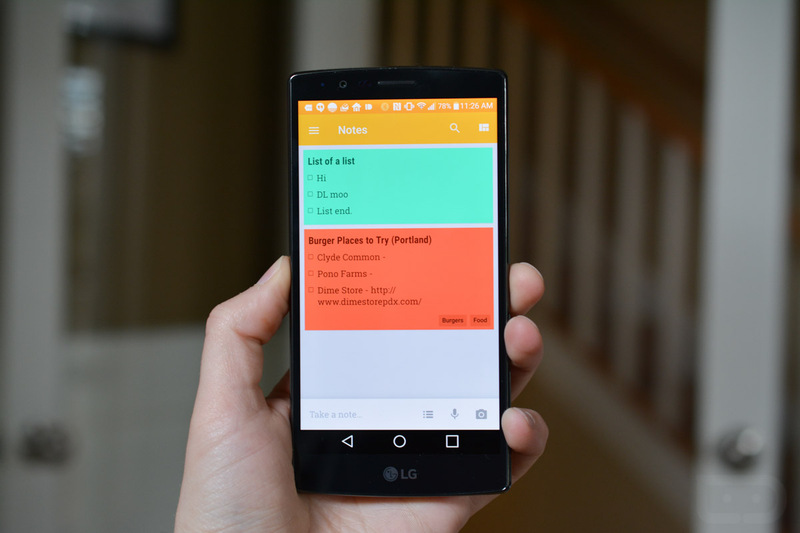 Google Keep received an update yesterday (that is now rolling out to everyone) that rid the app of a floating action button (FAB) and introduced a bottom toolbar that allows you to quickly launch into a new note, minus the extra click required with a FAB. Can you see the difference in the photo above? It’s actually quite lovely. You no longer have to press the FAB and watch the animation spring up of your options for notes, before choosing one. Now, you just open the app, look at the bottom of the screen and tap on the type of note you would like to take. It’s a subtle change that actually makes the app much simpler to use (in a good way). Outside of that change, the app now has a toggle in the top right for switching from grid to single-column view. This single button replaces the menu button that launched a menu that allowed you to switch. In other words, this should have been a toggle all along. Finally, in the slideout nav menu, you will find buttons that allow you to both edit labels and add new ones.